Many people around the world are worried that the better technology gets, the more dangerous robots will be in the future but I doubt it. 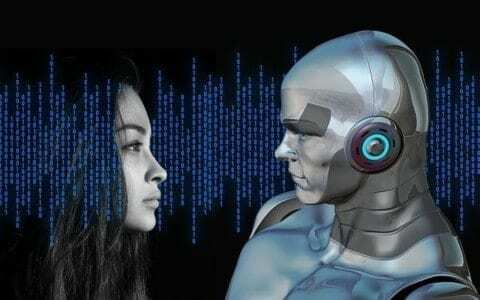 I do not think that robots will take over and enslave humanity in the future, because they are going to be able to obey every command that the human gives to the robot. `I also think they would not have feelings or urges to get there independence/freedom since they are just plain things that are not even alive. Also if they are a robot and try to attack and take over humanity causing a huge violent crisis all humans can do is just throw water at them or use an electronic magnetic pulse (EMP) an Item used to take out active bombs and used on any sort of electronics. There are so many simpler ways to stop a robot from performing such bad crimes to the owners or human beings. These are the reason why I think it is not possible for robots to take over humanity because either way they are always going to end up being able to follow commands for us. I will be able to explain each and every point I made in this paragraph and give a brief explanation on all of them. Robots can not enslave or kill humans as explained in the movie, “I-robot” and it talked about Isaac Asimov 3 rules of robotics the rules read, “A robot may not injure a human being or, through inaction, allow a human being to come to harm.” rule number 2 is, “A robot must obey orders given it by human beings except where such orders would conflict with the First Law.” and the rule number 3 is, “A robot must protect its own existence as long as such protection does not conflict with the First or Second Law”. 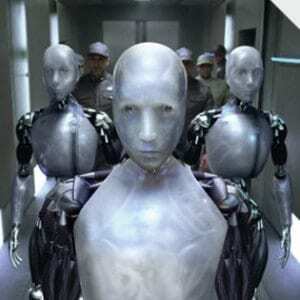 This meant that a robot would never harm or enslaved humans because they would always be able to protect humans instead of attacking them since humans have more power over the robots and they were the ones to create them and programmed these rules into them. Even if there are violent robots we can still fight back and win because they are easier to kill than humans. Robots are not immune to lack of oxygen the most important thing we need but what we can do to fight back is just used water to kill them quick. since they need to get repaired when they get damage most of the time they would try and find a human to repair them so they cant get repaired at all. These are the points I made on how we can still fight back robots when they are trying to fight back. Lastly, I think I made up my point, that I honestly don’t think that robots would ever take over the world, and this post is for the people that are worrying that something like this can ever happen in the future and also that humans would keep continuing to live as long as they can. Robots Vs Humans by Dante is licensed under a Creative Commons Attribution-ShareAlike 4.0 International License. My Experience With my Possession Net force!Would Robots Make The World Better Or Worse?